Our fuel surcharge mechanism explained. At S&S Distribution, we pride ourselves on offering our customers the very best value and service. Where possible we manage operational costs and absorb these within the business. However due to the continuing pressure of fuel prices, we have found it necessary to introduce a variable fuel surcharge which is monitored on a monthly basis. 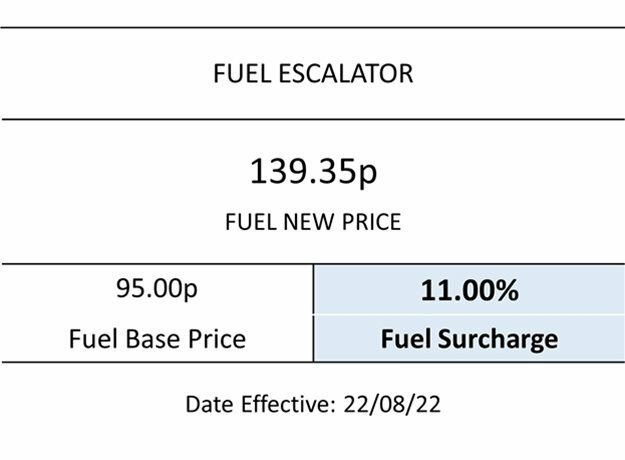 Previously when deemed necessary we have implemented a set fuel surcharge. However to offer our customers the fairest price and a benefit in fluctuations as we would, we have moved to this new format. The fuel surcharge will be determined by our monthly fuel purchasing price, as displayed. 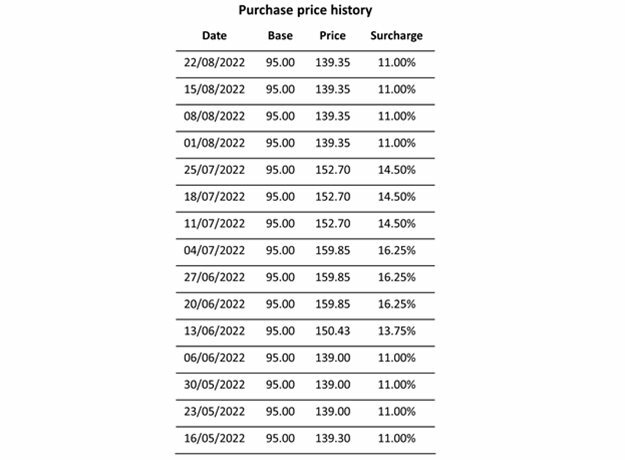 This information allows you to relate our buying price to the forecourt. To view our full pricing matrix please click here.